Snake Tray’s designs and builds a series of manufactured wiring systems that give contractors the convenience and speed to complete installations on time and under budget. These devices are ideal for general office environments, trading floors, command and control centers, data centers and hospitality build outs to name a few. Snake Tray offers many styles of enclosures for access floors. 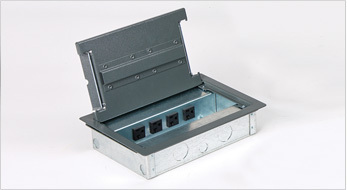 We manufactured a series of enclosures in a variety of sizes to meet your needs. Our enclosures come standard or we can customize a solution for your application. Snake Air Foam Model Allows for a variable number of cables. Snake Air Slotted Model Has a pass through for up to four cables. Allows for copper, fiber and MC cables to pass thru the access floor. Designed to manage airflow between equipment racks to prevent overheating sensitive equipment and to lower the cost of cooling a data center. 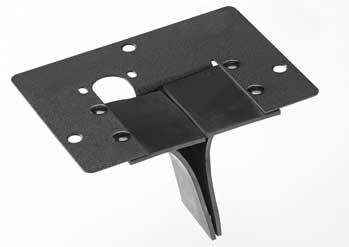 Air Dams are available in adjustable widths and standard 86 ½” height. Easily installed to the side of the equipment racks with screws. 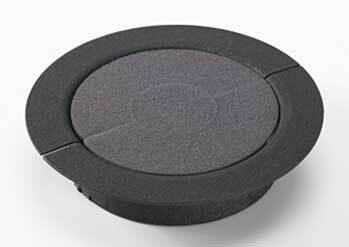 Snake Tray can work with you to solve any air flow issue. Please contact our engineering team to discuss a standard or custom solution. 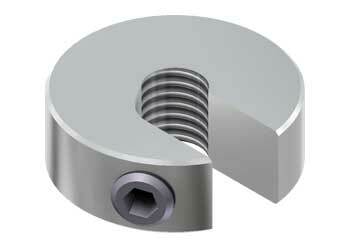 This innovative fastener eliminates the labor intensive need to hand thread hex nuts up a threaded rod. 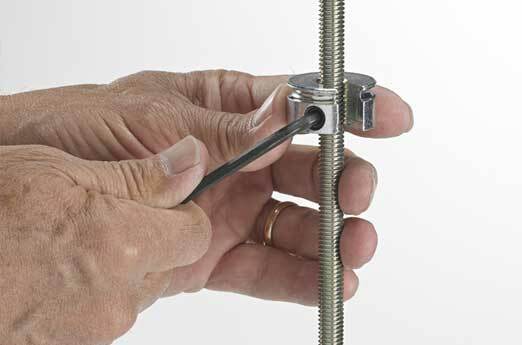 Simply insert the Snake Nut anywhere on the threaded rod and tighten into place with a set screw. Once locked into place, Snake Nut has been tested to hold up to 6,800 pounds. 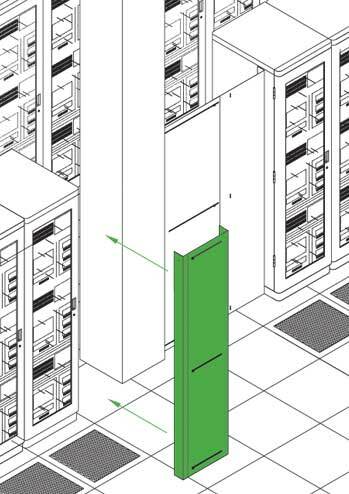 Zone cabling enclosures add flexibility within an open-office environment or data center environment. 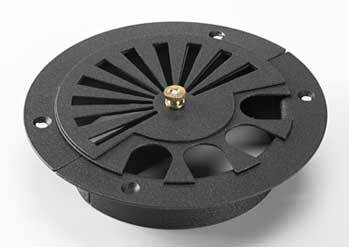 Choose from ceiling-mount, wall mount or under-floor versions. 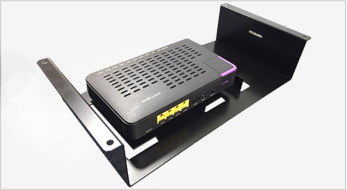 Under desk ONT mounting enclosure that can house most current ONTs on the market. This PON module will provide space for the service loop and the auxiliary power unit. Our products install quickly with user-friendly hardware. We provide both custom and stock solutions. 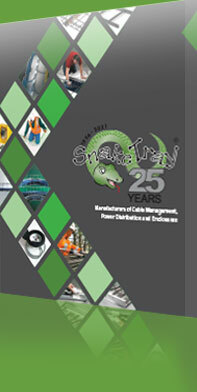 Contact Snake Tray to discuss your next Enclosure project! 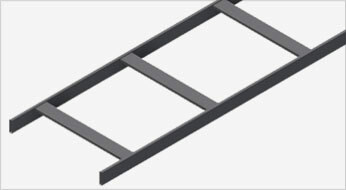 Mega Snake cable tray is strong as steel but flexible with preconfigured with turns, “T”s and crossings. Mega Snake can be suspended from the ceiling, attached to the cabinets or be free standing with Snake Trays’ unique mounting system. 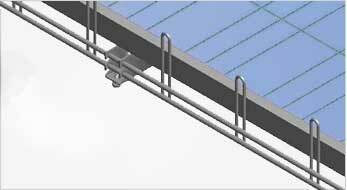 Snake Canyon is our fastest installing cable tray solution that integrates with the computer access floor. 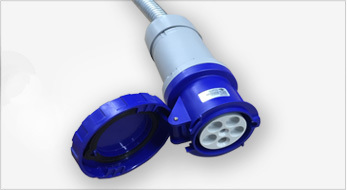 Snake Canyon can work with any access floor and can be accessorized with power and data distribution modules. Aluminum Cable Tray and Steel Runway is now available for Snake Tray for the high cable capacity areas in the data center. Boxes and Enclosures are available for power distribution in access floors. 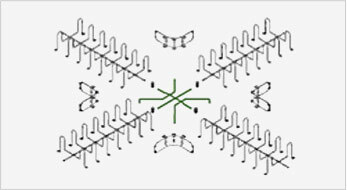 Read about how Snake Tray’s Cable Tray Systems support cables’ journey through the data center.